Implied probability is the conversion of betting odds into a percentage. This tells us how often we need to win in order to break-even. 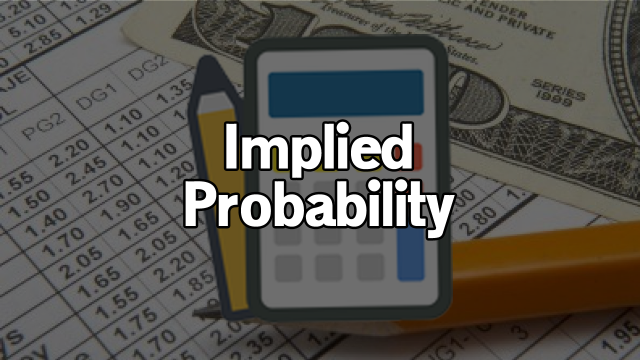 Implied probability is used to isolate profitable wagers and calculate the bookmaker’s margin. 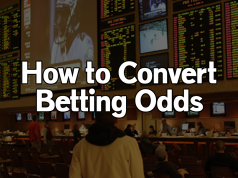 This guide will teach you how to convert American, Decimal, and Fractional odds into implied probability as well as evaluating how big of an advantage any given sportsbook has over you. 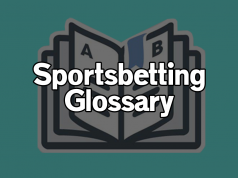 Implied probability is the direct conversion of the betting odds available at a sportsbook into a percentage. Because the bookmaker’s commission is factored in this reveals the break-even percentage. One can only justify placing a bet if they believe it will win more often than the implied probability. Bookmaker’s adjust their markets in an attempt to attract an even amount of action to both sides of the game. This creates margins between the implied probability and the outcome probability. Taking advantage of this is the key to long-term sportsbetting success. 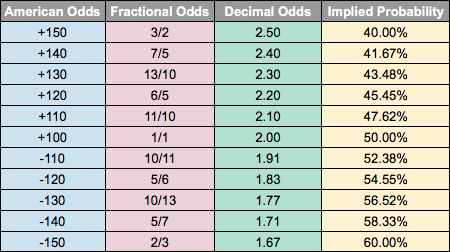 Let’s start off by taking a look at how we can convert American, Decimal, and Fractional odds into percentages. This will be a direct calculation from the bookmaker’s posted line so their commission will be factored in. This percentage will allow us to determine the break-even percentage. The Baltimore Ravens have +130 odds to win the match. 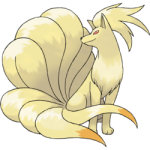 Their implied probability is given by 100/(130 + 100) which simplifies to 100/230. This comes out to 0.435 which is 43.5%. Manchester United have 1.36 odds to defeat Swansea. Their implied probability is represented by 1/1.36 = 0.735 = 73.5%. You would need to win this wager 73.5% of the time in order to break even. Swansea’s match odds are 9.50 which means their implied probability is 1/9.50 = 0.105 = 10.5%. You would need to win this wager 10.5% of the time in order to break even. Let’s take Bournemouth with 10/11 odds against Watford. The numerator is 10 and the denominator is 11. We will retrieve the implied probability with 11/(11+10) = 11/21 = 0.524 = 52.4%. If you believe Bournemouth have more than a 52.4% chance of emerging victorious then you would be making a good bet! You should have noticed that in the calculations above the implied probability for all sides of a given betting market do not add up to 100%. This surplus reflects the bookmaker’s margin. Their odds to not represent the statistical probability of an event. Knowing how to calculate bookmaker margins is crucial to ensuring that you are not getting ripped off. The larger the margin the more advantage the bookmaker has over you. Next we will take the sum of all possible outcomes: 55.6% + 26.3% + 21.1% = 103%. The implied probability is 3% higher than a theoretical fair market. This means the bookmaker’s margin for this betting market is 3%. As bettors we want to find bookmakers that offer the lowest margins possible. The industry average for most spreads, moneylines, and totals is around 5%. Anything higher than this should be avoided as you are putting yourself at an unnecessary disadvantage. Since implied probabilities are direct conversions of betting odds into percentages the bookmaker’s margin is factored in. The implied probability represents how often you would need to win a wager of those odds in order to break even. We can perform an additional calculation to remove the margin to get the true probabilities. This means the true probabilities are 37.0%/103.7% = 0.357 = 35.7% for the Buffalo Bills and 66.7% / 103.7% = 0.643 = 64.3%. The sum of your true probabilities should add up to 100% (which is the case here). To become a winning sportsbettor one must place wagers that hold positive expected value. There exists a margin between the real life winning percentage of a given betting market and that implied by the bookmaker’s odds. 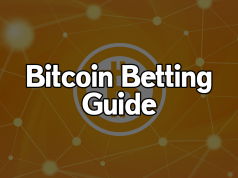 In the next guide we will discuss how to create a projection model in order to estimate the real winning percentages of multiple betting markets. Comparing these numbers to the implied probabilities we learned how to calculate today will reveal which wagers have the most value.